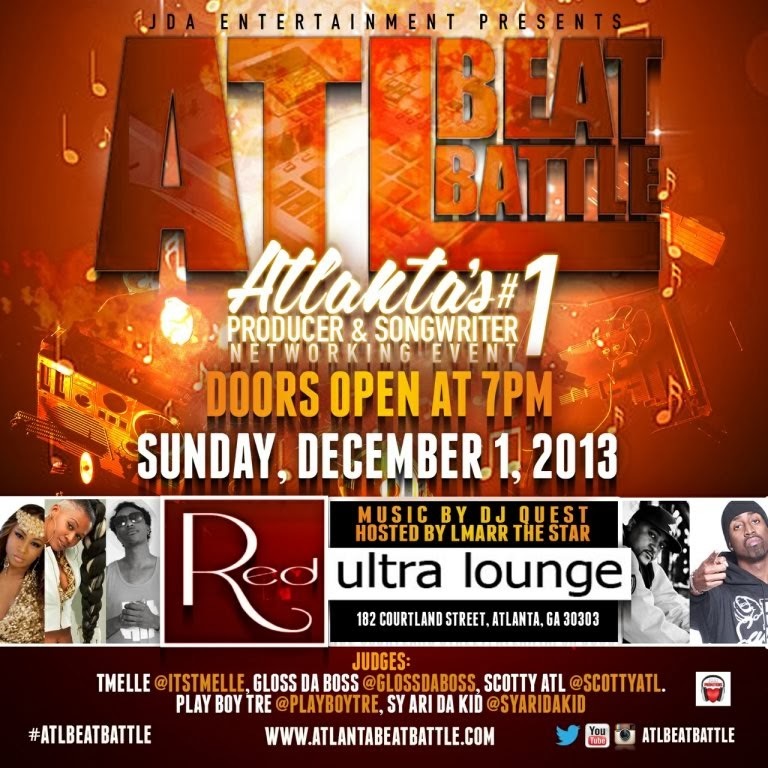 Atlanta's #1 Producer & Songwriter Networking Event, ATL BEAT BATTLE is December 1, 2013 at Red Ultra Lounge! This is an opportunity for producers & songwriters can showcase their work & network. ATL BEAT BATTLE is hosted by LMARR THE STAR with music by DJ QUEST! Our judges this month features Atlanta Indie Artists: T'Melle, Gloss Da Boss, Scotty ATL, Play Boy Tre, & Sy Ari Da Kid! Come out & network with these indie artists NOW! Do not wait until they are major before you reach out. LET'S BUILD!